Beveridge & Diamond welcomes Weiwei Luo to our Washington, DC, office as Of Counsel. Her practice focuses on sustainability, environment, health, safety, data privacy, energy, and government regulatory issues in China, the U.S, and other countries. She brings experience with business transactions, regulatory, and trade matters across a broad range of industries in China, the U.S., and Europe. Prior to joining B&D, Weiwei worked in the China practice of a multinational law firm. Managing Principal Russ LaMotte, a leader in the firm's International practice group said, "We are pleased to welcome Weiwei to the firm. She brings additional capacity to our already robust product stewardship and global supply chains practice, as well as to our Asia-Pacific and international practice. I know our clients from multiple industry sectors - including chemicals, electronics, pharmaceuticals, and manufacturing - will benefit from her experience and business-savvy perspective." 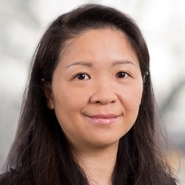 Weiwei stated, "I am delighted to take my next career step at B&D and look forward to working with the firm's highly regarded international team." Working with hospital, professional licensing, practice of medicine, medical advertisement and new technology (including telemedicine) regulatory and investment issues in China. Weiwei first qualified for the bar in 2002 when she earned her LL.B. from Zhongnan University of Law and Economics. She has since earned an LL.M. in international law from Erasmus University in Rotterdam in 2003, as well as an LL.M. from Duke University Law School in 2010. She holds a master of European Law and Economics degree jointly awarded by Bologna University, Ghent University, and Erasmus University in Rotterdam in 2004. She passed China's national judicial qualification exam and is a member of the New York State Bar Association. Weiwei is fluent in Mandarin and English, and speaks and reads Italian.